Tag Archive | "Round Ripple"
I have been working hard to use up some of my old stash yarn. As many of us have, I have bags of small balls of yarn and partial skeins of leftover yarn. Some of the yarn doesn’t match up well together but I have really been trying to use it up while doing charity crafting. 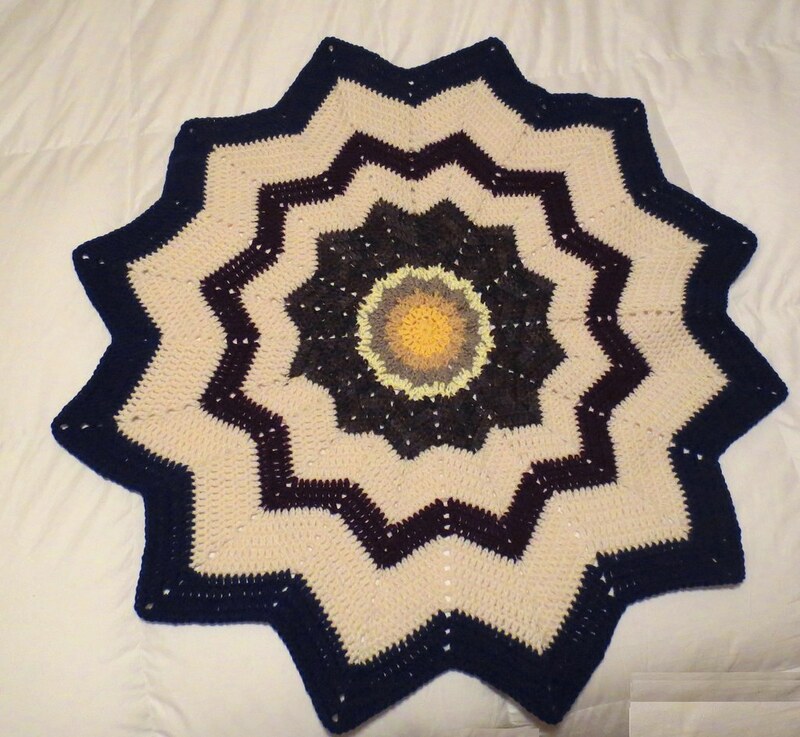 Here is the first I completed which is a round ripple lapghan. The lapghan is 35 inches wide and will be going to out the Warmth for Warriors blanket drive. Next are two different baby blankets I crocheted for Kathryn over at Crochetville. These are going to this year’s NICU blanket drive that she heads up each year. I used several bits of old Lullaby variegated yarn and mint green yarn in both baby blankets. I did finally run out and finished with some white Red Heart SS to finish off the scalloped blanket. 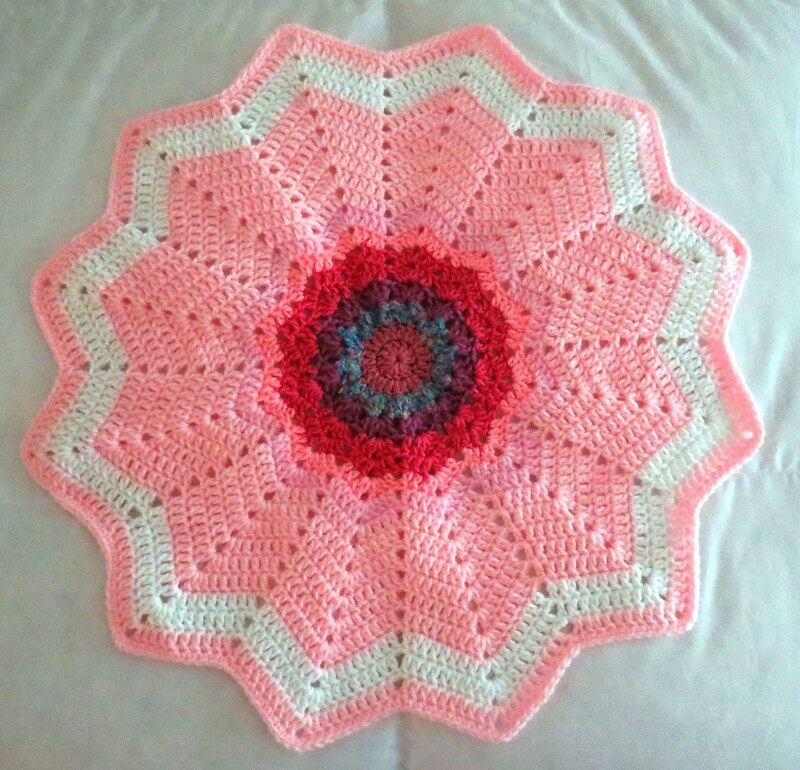 Here is a baby blanket I crocheted in a round ripple pattern. I used a Lion Brand Mandala yarn cake in colorway Unicorn to crochet this blanket. I did use a scrap of pink yarn at the center to get things started. I finished the round ripple with the pink shade that I pulled out of the center of the cake. I wanted to end round ripple blanket with the blues all in one round. Then I pulled out the pink to finish the round ripple with a round of single crochet for trim. Crocheting round ripple blankets are always one of my favorite patterns. I love making round ripples and always look forward to the different color combinations that are created with a variety of yarns. I crocheted the center of this RR using some leftover Caron blue yarn before using a Yarn Bee Sugarwheel. 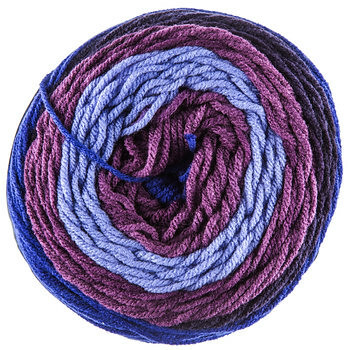 The Sugarwheel is a new yarn that comes in a pretty yarn cake that is naturally variegated. This colorway is called “That’s my Jam.” It worked great for my small blanket that will be used for donation to Warmth for Warriors. I added some additional yarn from my stash in black and blues to finish off the blanket. It is time again to start making baby blankets for the 2016 NICU Baby Blanket Drive. Each year Kathryn over at Crochetville makes and collects baby blankets for the yearly delivery just before Christmas. This is the 10th year of the drive and my 7th as a contributor. 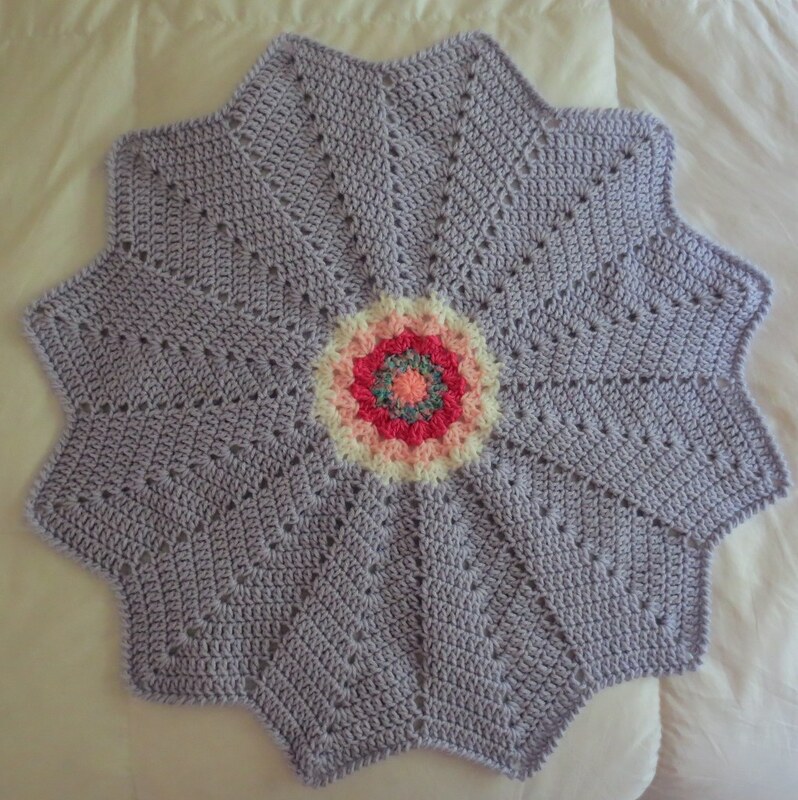 Here are two round ripple baby blanket I crocheted this month. Both of these were crocheted using Aggie May’s round ripple pattern. 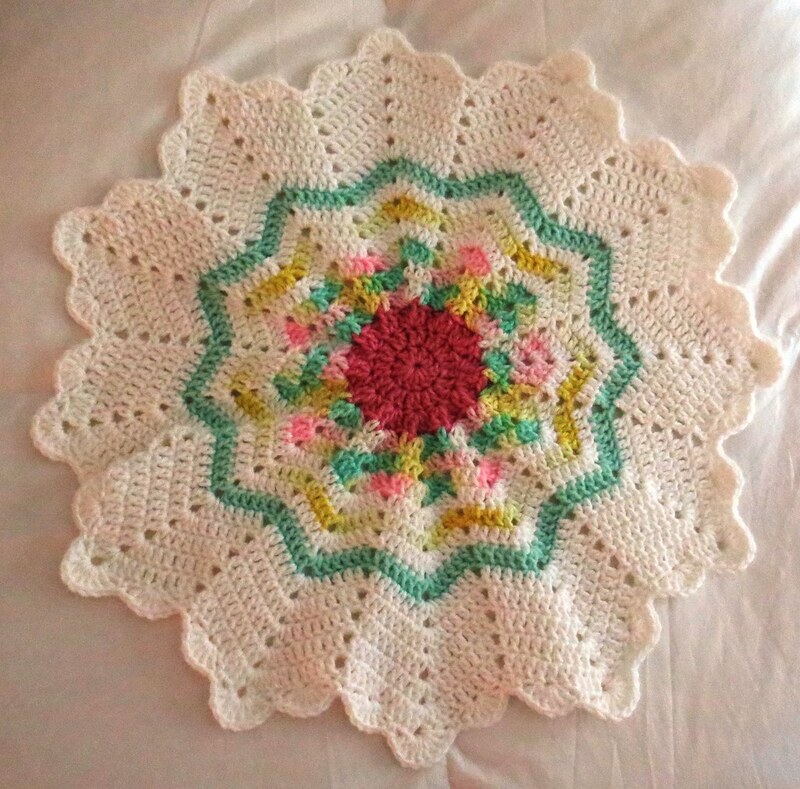 I have been busy lately crocheting baby RR (round ripple) afghans. These are so much fun and a great way to use up stashed yarn or scraps you may have. These were all made using Aggie May’s pattern from Crochetville. 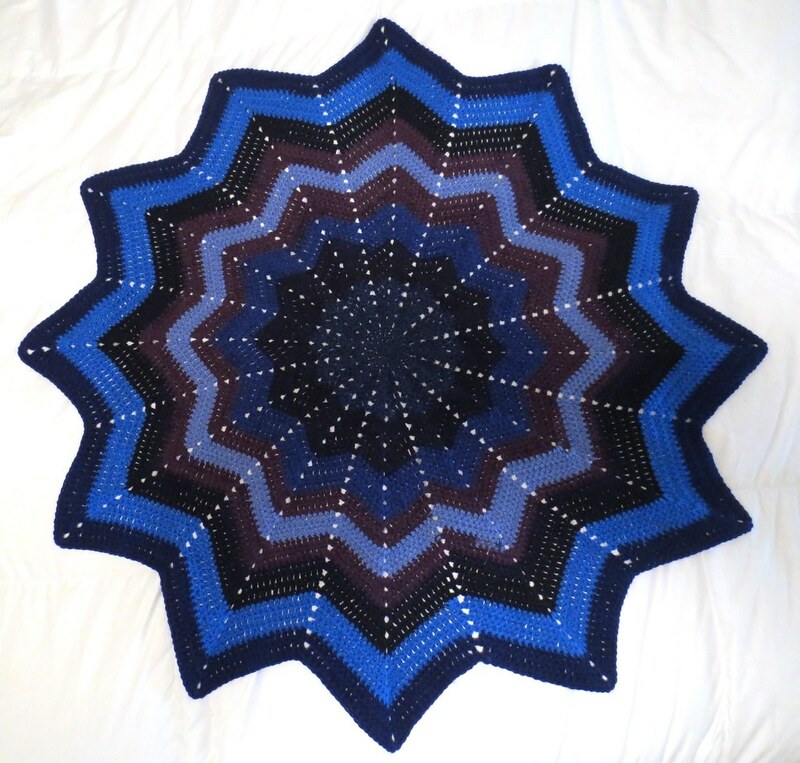 There are several different free versions of the RR afghan pattern available on the Internet. I created this edging which has a layered-look as I used a sport weight yarn and a worst yarn. Using sport/baby yarn, Ch 3 in any space on the RR, Dc in same space, Skip 2 sts, Sl St into next st. Repeat working *Ch 3, Dc in sm st, skip 2 sts, Sl St in next st.* End with Sl St to base of first Ch 3. FO. With new worst yarn, work same edging as above but work from behind first edge row. They creates a ruffled layered look. Here is my baby blue scrap yarn RR that I crocheted using up several different skeins of miscellaneous yarn that I’ve had on hand. Both of the baby afghans above were crocheted for 3rd Annual Afghans for NICU Babies Christmas drive. Kathryn over at Crochetville is requesting baby blankets for this year’s drive. You can read more about the drive here if you’d like to help this very special cause. Here is my first full-sized round ripple or RR as most crocheters refer to this wonderfully shaped afghan. This was crocheted using Aggie May’s RR pattern from Crochetville. I used some scrap yarn and added some Red Heart Super Saver skeins to complete my RR. This is going to be a gift for my Mother’s upcoming birthday. I know it’s not a recycled bag but I just wanted to share my RR as it was so much fun to crochet!